Santa Clara Valley is better known as Silicon Valley. 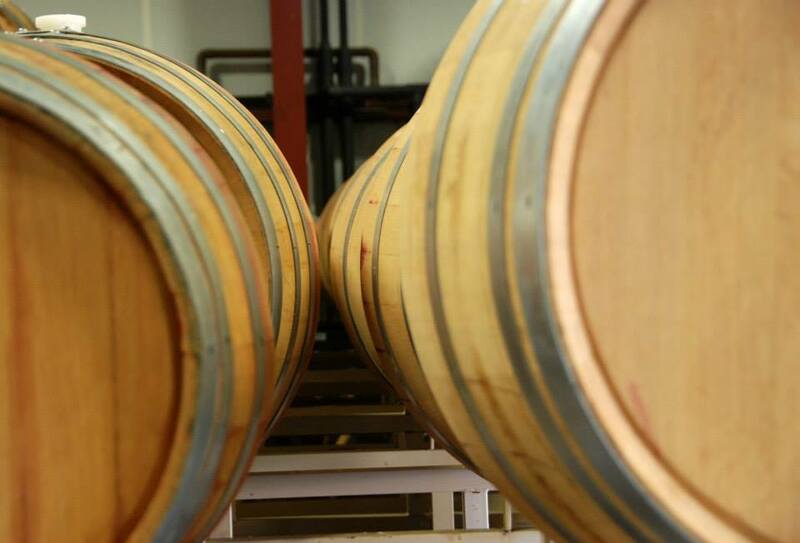 The Santa Clara Valley Wine Trail was created in August 2014. 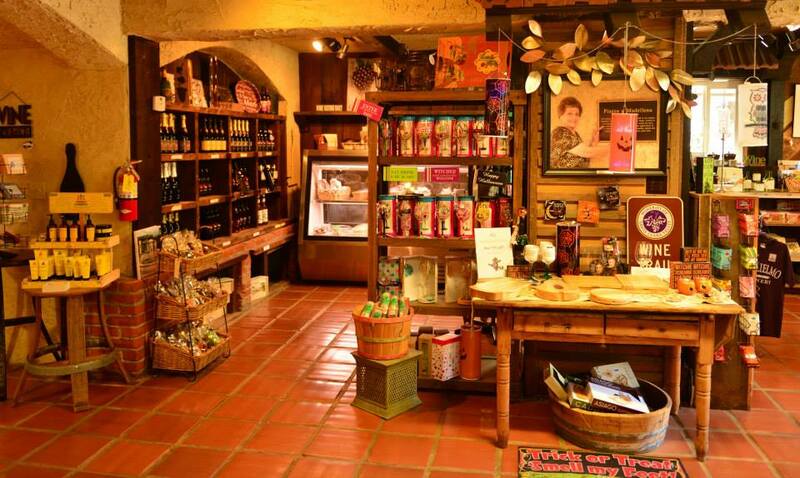 The Wine Trail has over 20 wineries. 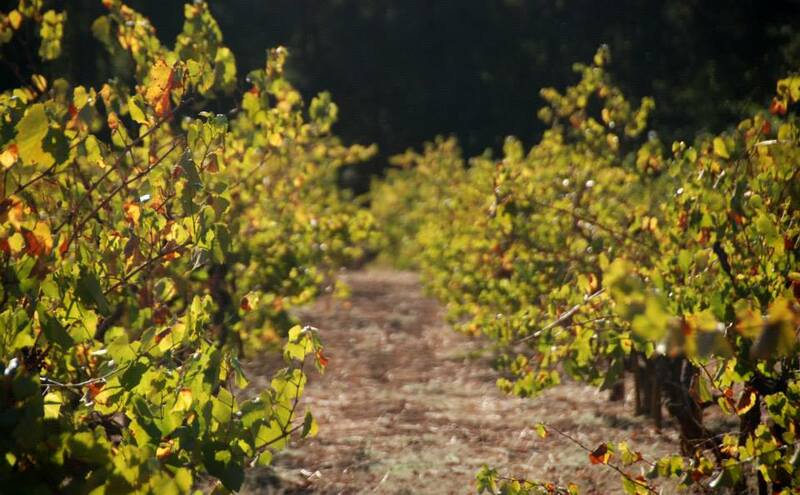 Many say the Gilroy/Morgan Hill area is the new Napa Valley. One can argue the quality of wines in this area is as good as any in the country. Gilroy is a big agriculture area. Coined as the “Garlic Capital of the World”. 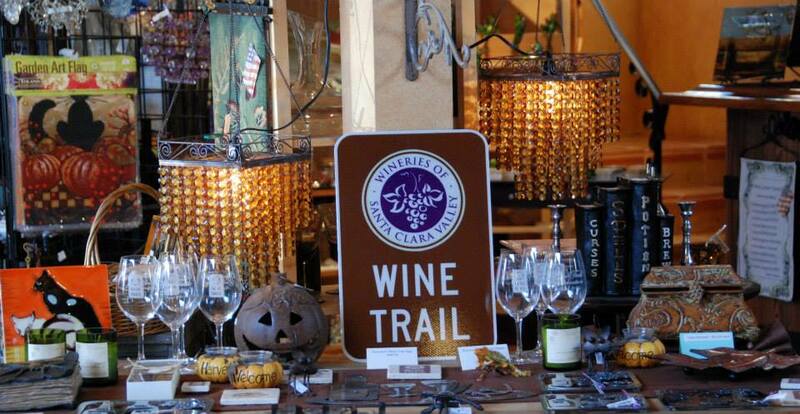 Now the Wine Trail looks to put it on the map for its wineries. 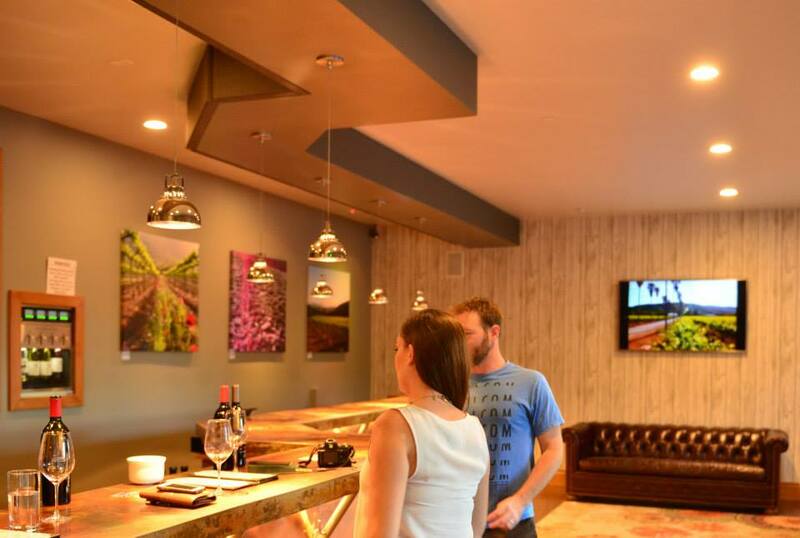 “There are award-winning wineries in South County that are some of the best in the world, and the Wine Trail is going to raise awareness of that.” said a national wine expert. The wines may be as good as Napa Valley however the pricing is very different. 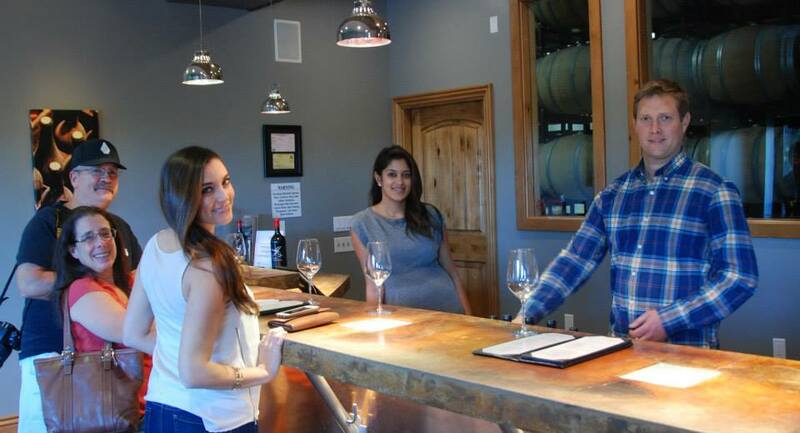 Typical tastings in Napa are $10-40. 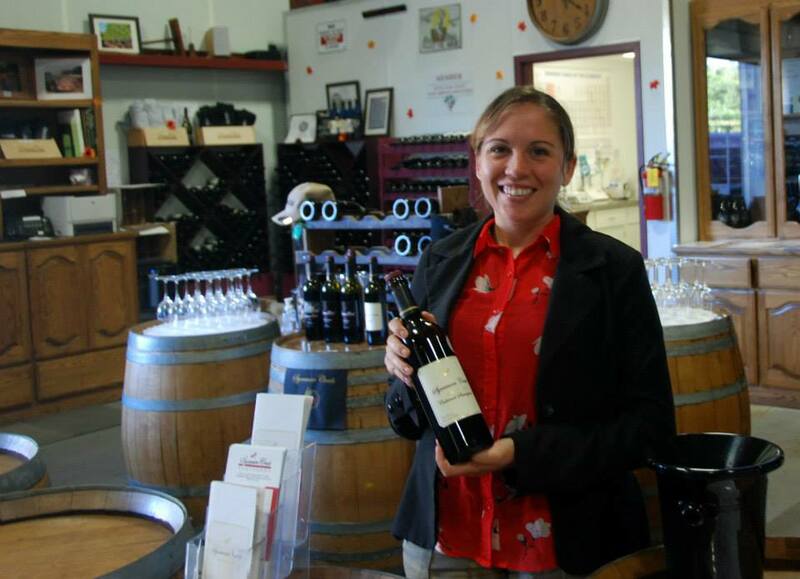 Wine Trail wineries range from free-$5. We had been staying at the Thousand Trails RV Resort on the border of Gilroy and Morgan Hill. It’s right in the heart of the Wine Trail so it just made sense that Danielle wanted to do a Wine Tour for her 30th Birthday. 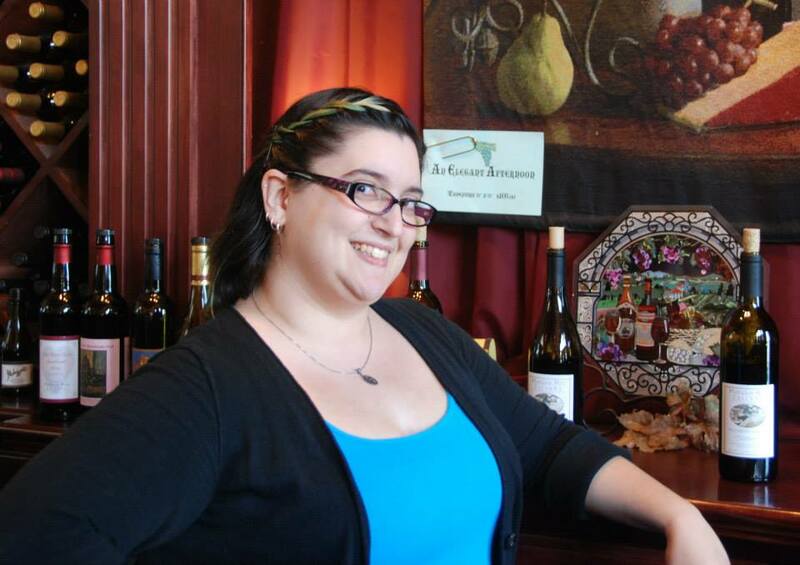 “It’s wonderful exposure for the region,” said Gene Guglielmo who is the owner of Guglielmo Winery. 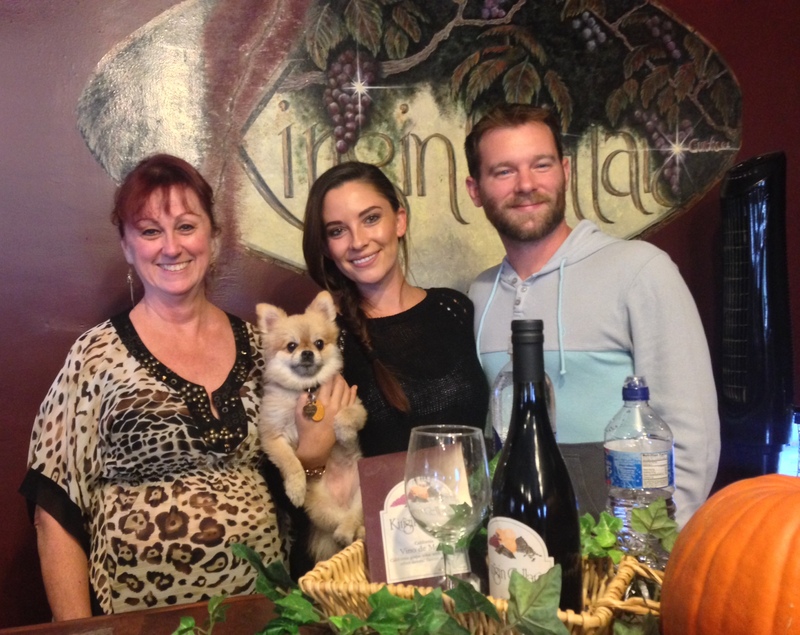 We started our journey at Morgan Hill Cellars. They have some very interesting fruit wines that we enjoyed. They had the most specialty wines that we experienced and the wine maker was described as a mad scientist with his different creations. The tastings here are complimentary. They have a nice retail area. 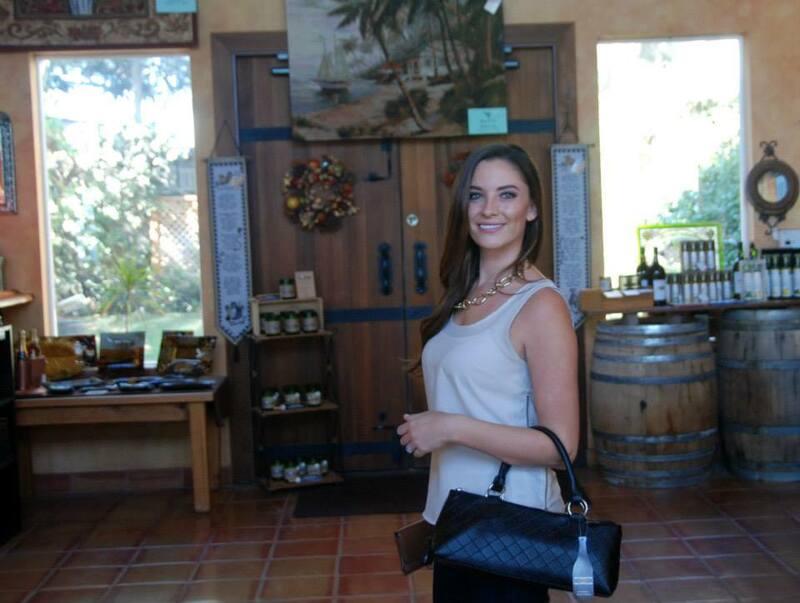 The bag in the above picture isn’t a purse, it’s a wine bottle bag. I found this picture unique. 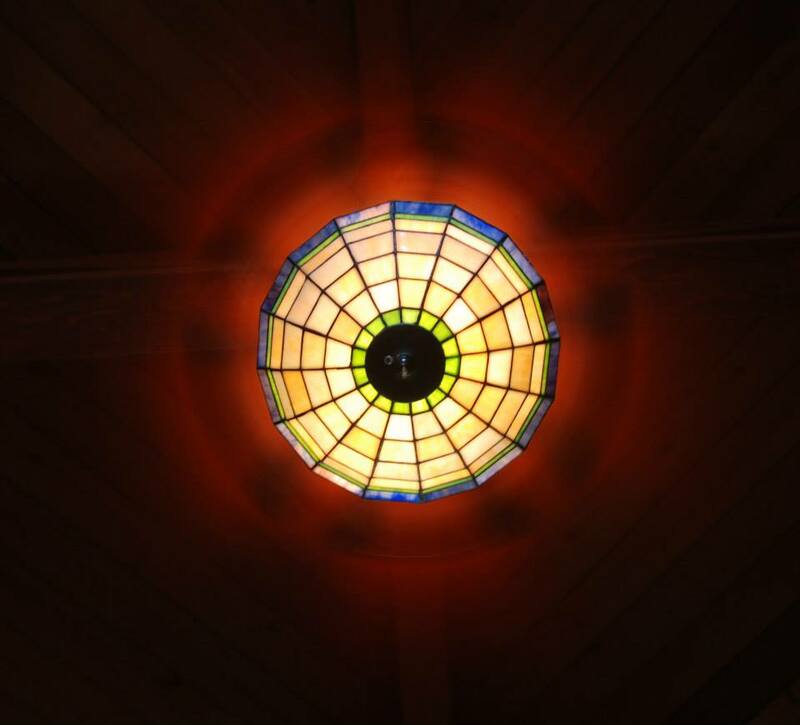 It’s a light and ceiling fan. The best part about this winery was this lady. In the tasting she didn’t just go down the list pouring our wine. She had a unique story telling adventure for each of the wines that was a spot on explanation of the taste of the wine. It was extremely entertaining! Next we went to nearby Guglielmo. 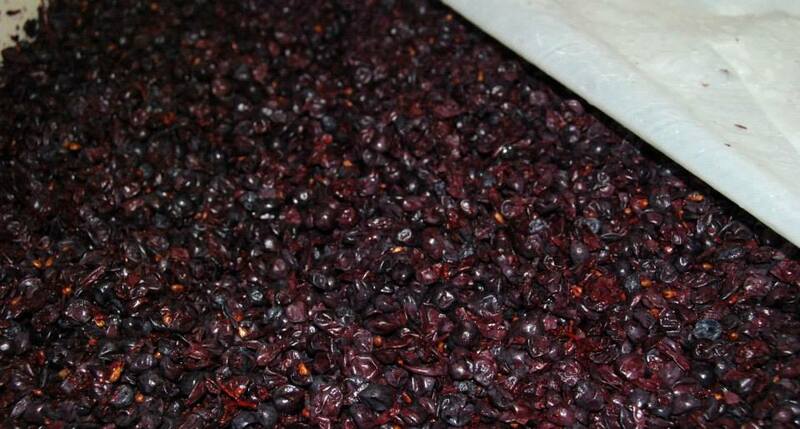 This is a third generation winery and the family has been making wine since 1925. The tastings are complimentary for RVers who are staying at the Thousand Trails Resort. The location is beautiful and they had a wedding on the property. They have a rather large retail area. 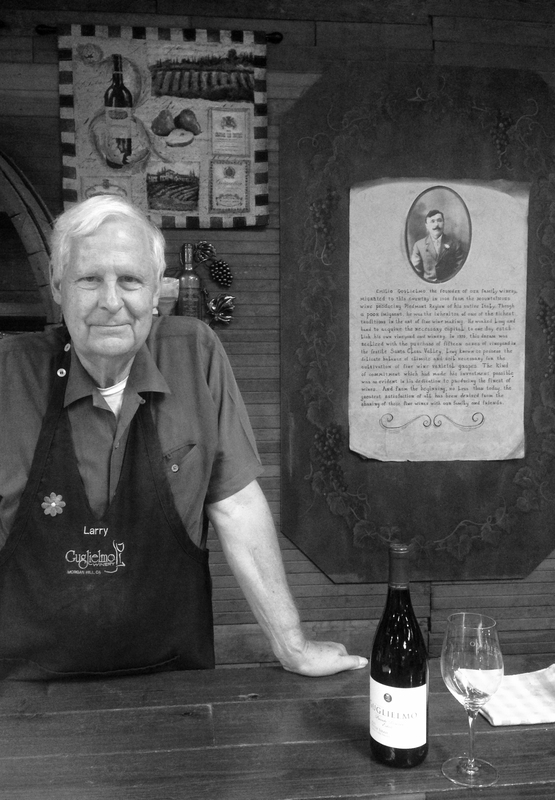 A few months ago on another trip to the area we had visited this winery and had the pleasure of meeting Larry. 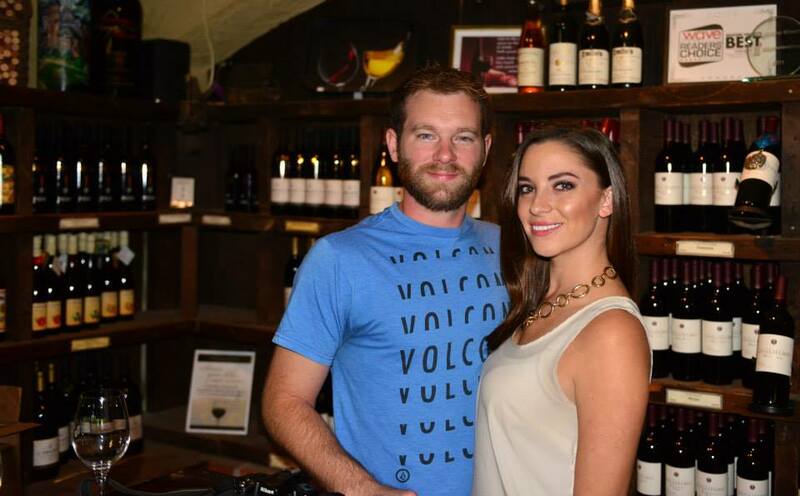 He is extremely knowledgeable about wine and was a great to chat with. 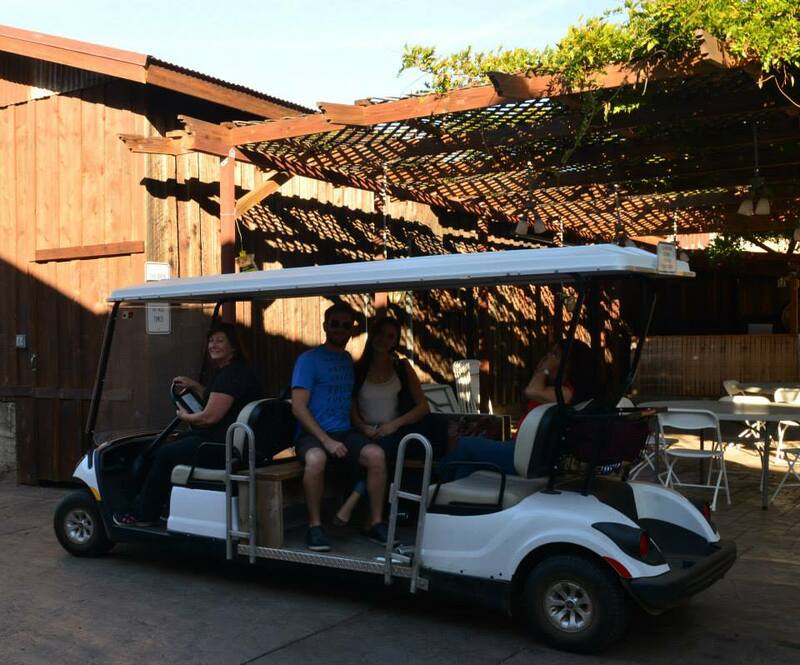 Our next stop was Sycamore Screek Vineyards. 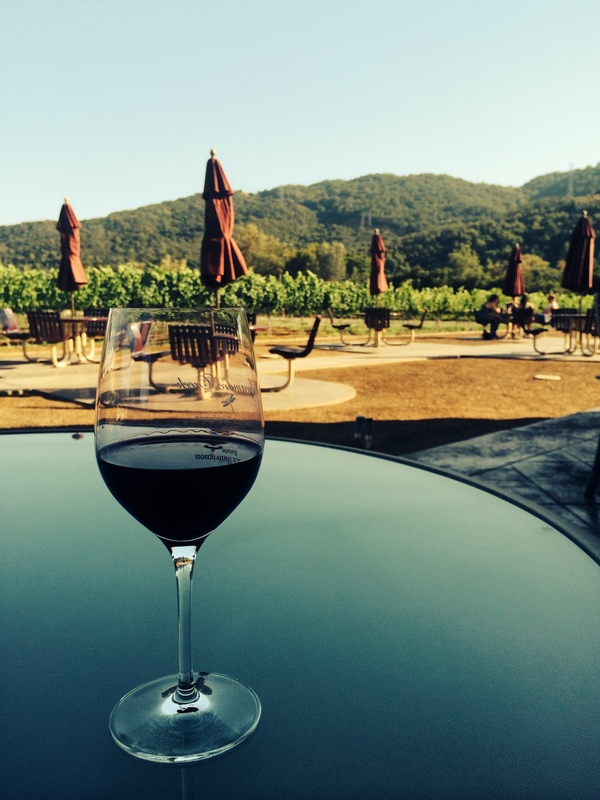 This winery is so close to the Thousand Trails Resort you can see it from much of the Resort. 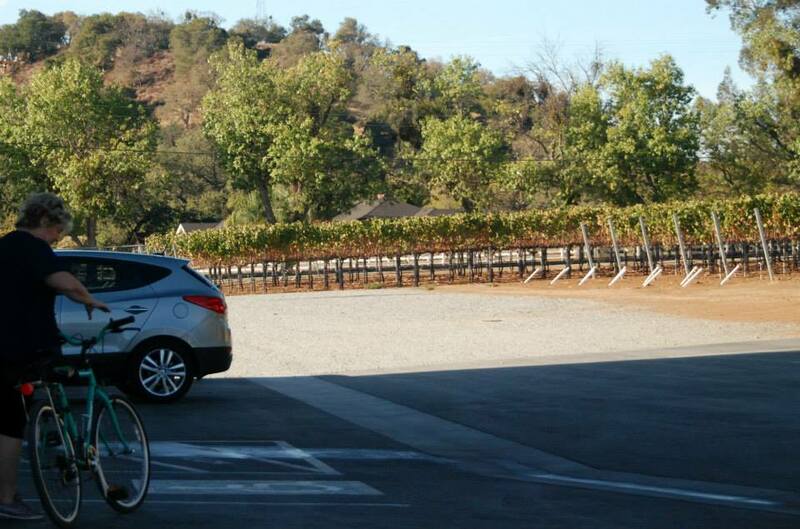 It’s walking distance however this lady chose to bike over for a tasting. The outside area is absolutely gorgeous. 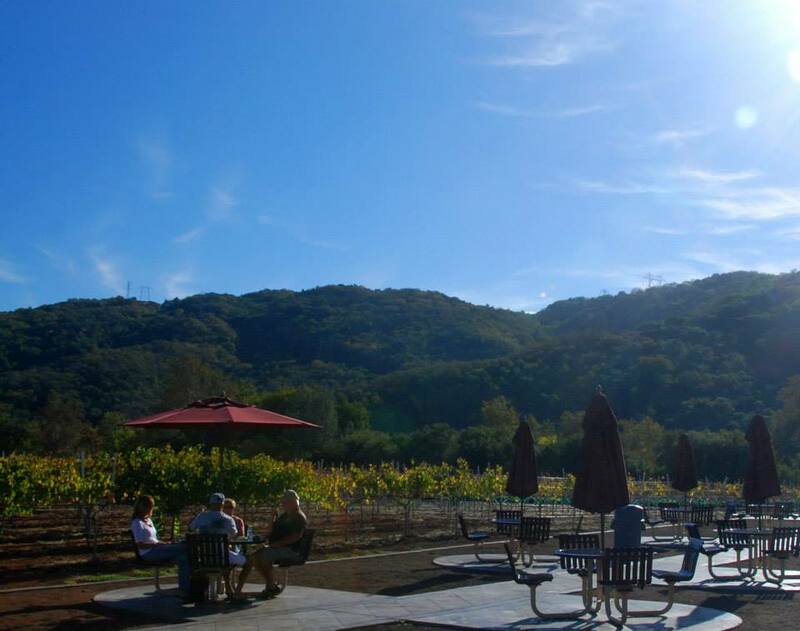 It’s a great place to get a bottle of your favorite wine and site out and enjoy the views of the mountains. The owner of Sony previously owned this winery. Their family had grown and made Sake since the 1600’s and had the foresight to grow wine in this area rather than the more well known Napa. He became ill and passed away in the 90’s. 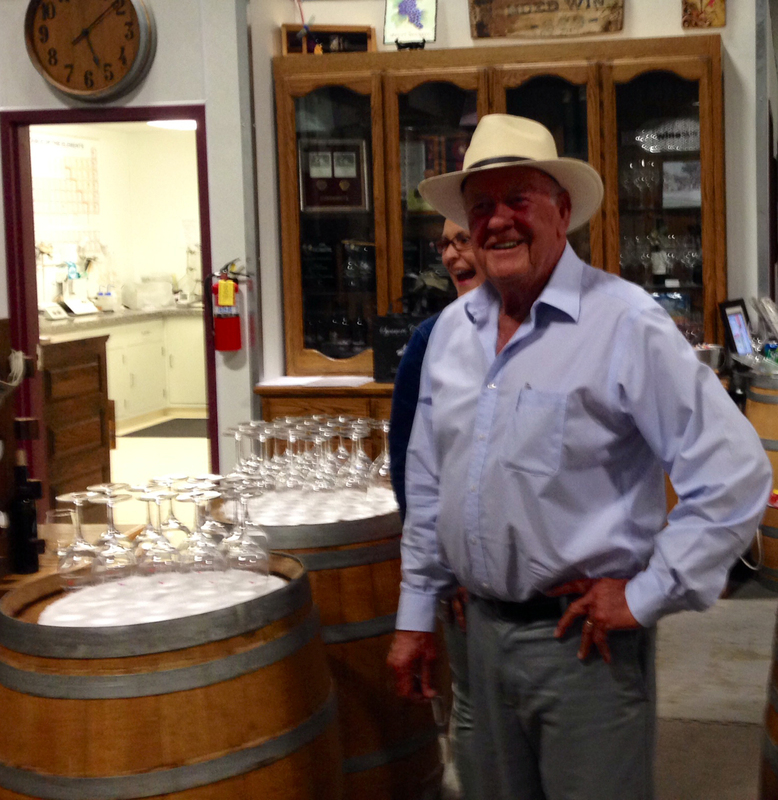 The winery stayed in the Morito family until they sold the winery to Bill Holt (pictured below) in 2005. One of the neatest parts for Thousand Trails RVers visiting Sycamore is knowing how close you are. In fact, being full time RVers our “Home” is just past the vines in the woods of this photo. It’s such a great benefit of RVing to live in such scenic locations. We headed just down the road to Kirigin Cellars. 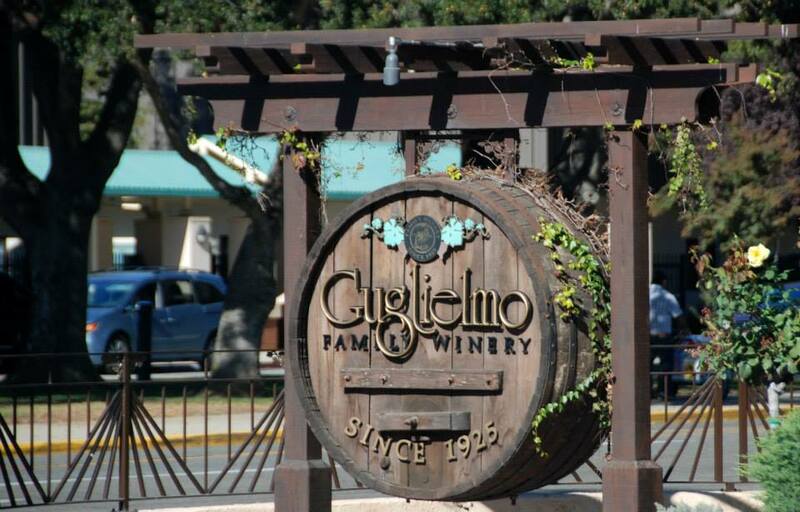 Founded in 1916, this is one of the oldest wineries in California. We’ve been to Kirigin multiple times and each time have been impressed at how friendly their staff is. They host a lot of local events. 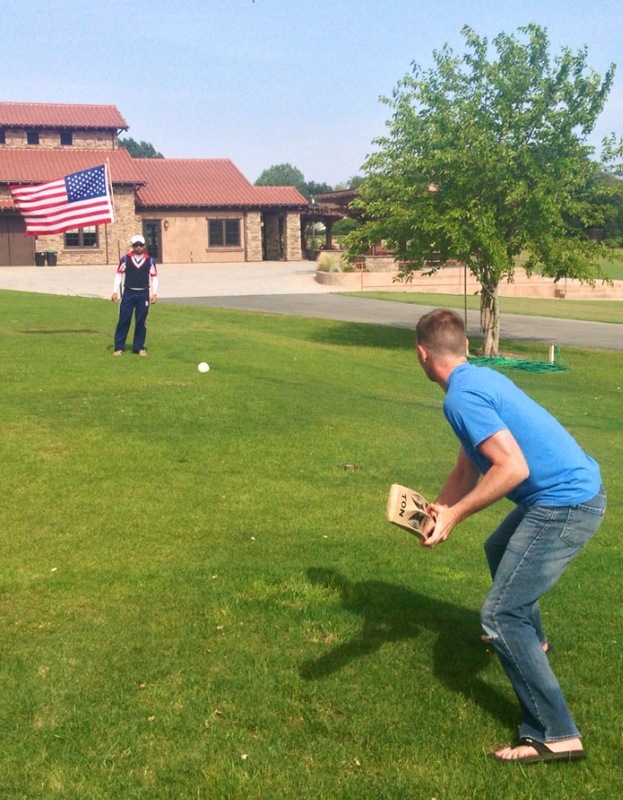 On one visit I was able to take a crack at Cricket. I got lucky and crushed it on my first attempt! 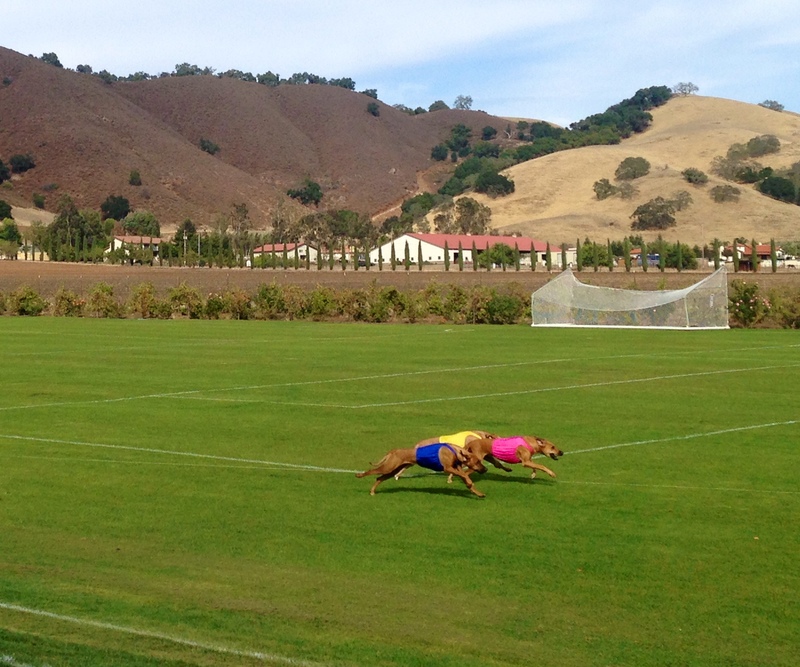 On another visit we were able to watch Rhodesian Ridgeback Races. 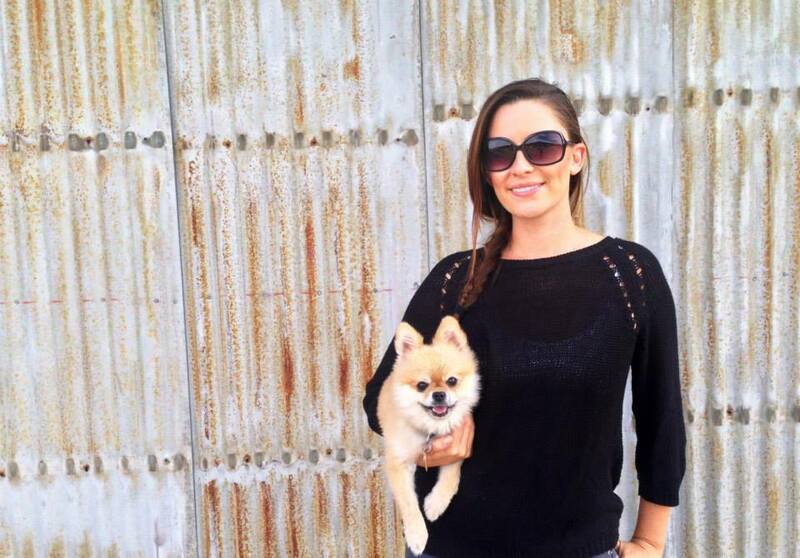 They are not only dog friendly, they actively promote that you should bring your dog. 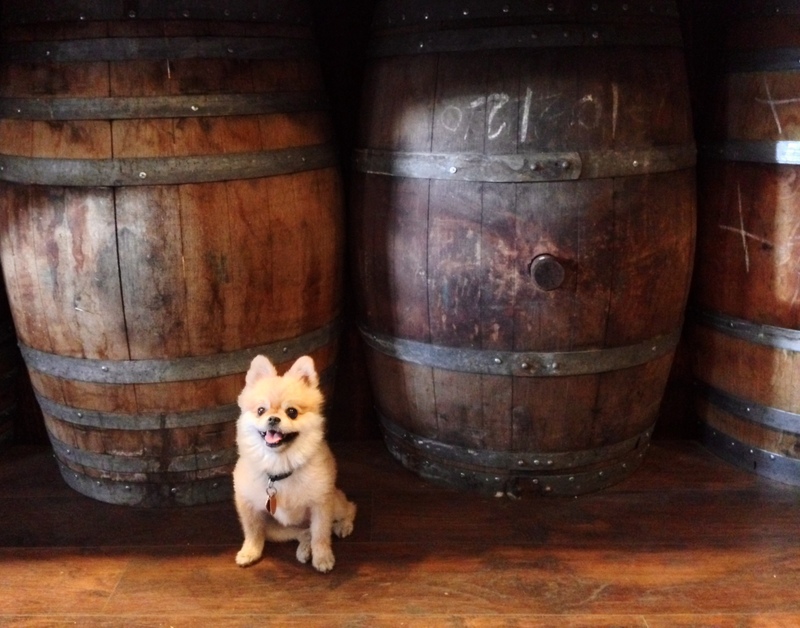 The Traveling Pomeranian loves this place. We ran into a little challenge. 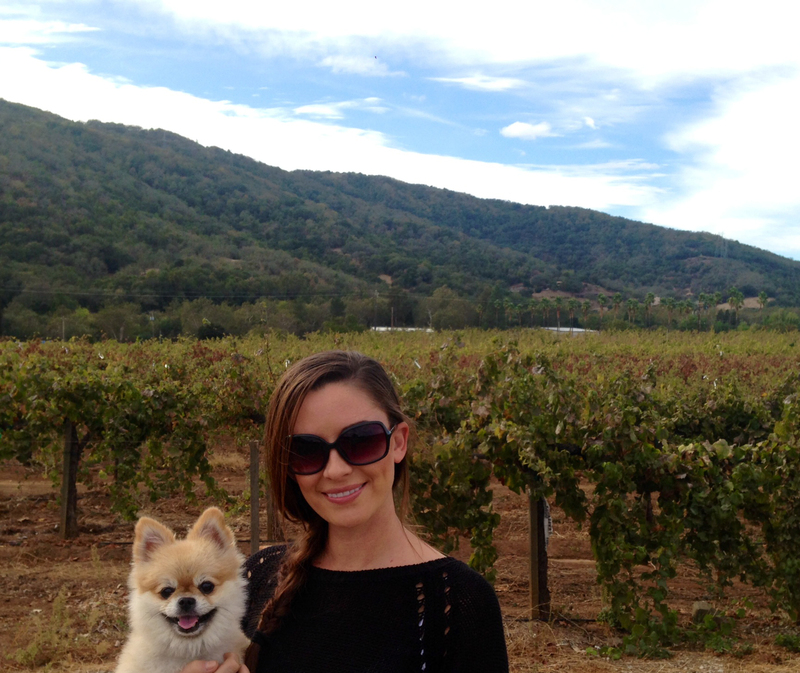 It was after 4pm on Danielle’s Birthday and we still had to visit Jason-Stephens Winery across the road. The only problem was we couldn’t get a hold of the cab driver to give us a ride and they closed at 5. No worries, we can hoof it. I called over to Jason-Stephens to make sure we could make it before they stopped doing tastings and we started to walk. The lady working at Kirigin came out and stopped us. 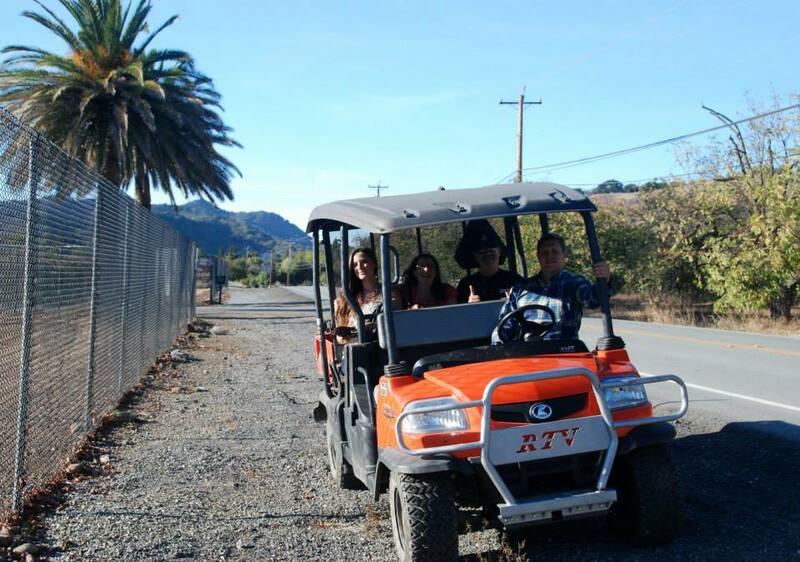 She offered to drive us in their golf cart to the end of the long driveway. She really went out of her way to help us out and it was a blast riding in that limo cart! So much fun!! 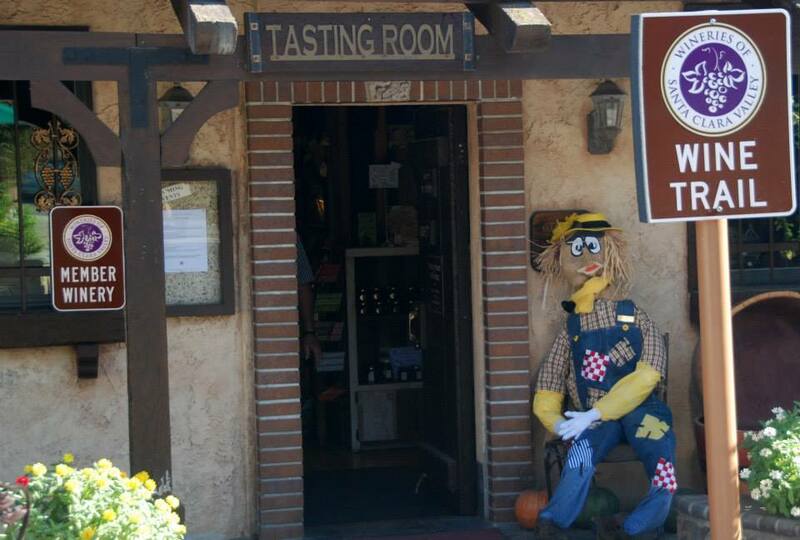 Now for our favorite winery in the area. 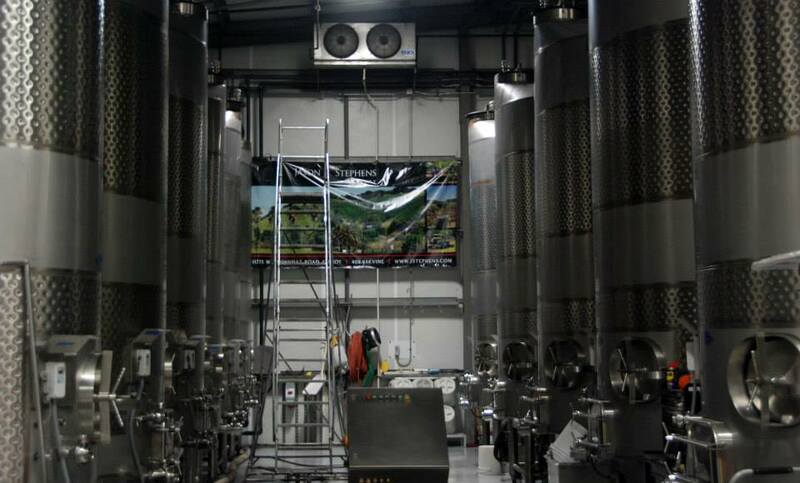 Jason-Stephens Winery is a relatively new winery, however it’s really high tech. 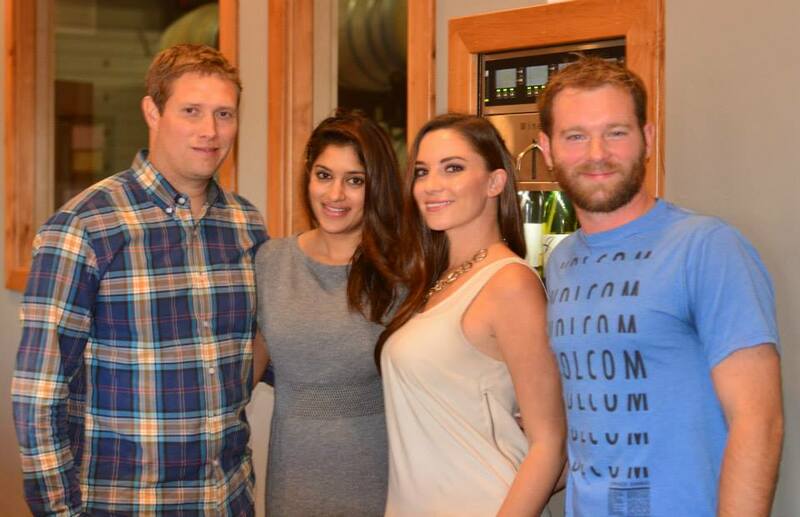 The winery was founded by Jason Goelz who is also the winemaker. 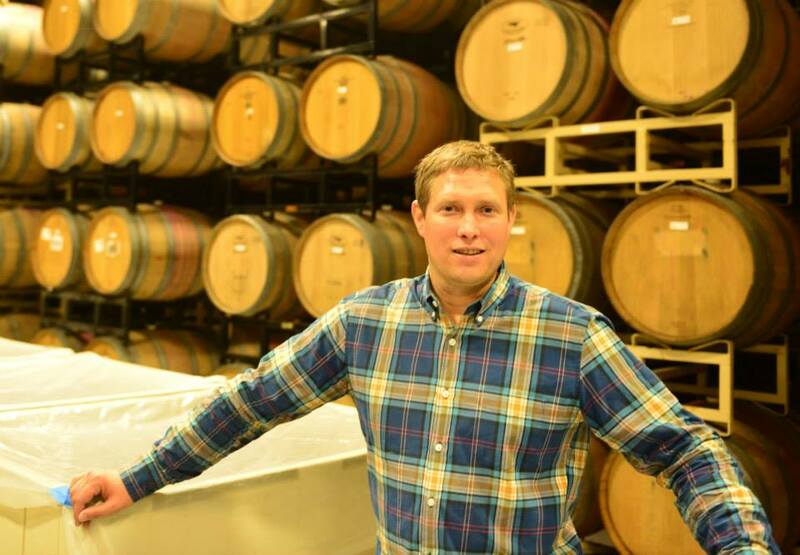 The Stephen of Jason-Stephens is Stephen Dorcich, the vineyard owner and vineyard manager, who planted the vineyard in 1986. We got to the end of the driveway of Kirigin and started walking down the road to Jason-Stephens which is probably around 1/4 mile or so but then we would have to walk down the long driveway to the tasting room. An extended ATV pulls up to pick us up. It happened to be the owner Jason Goelz! Now that’s VIP treatment!! The driveway is lined with these beautiful palm trees. 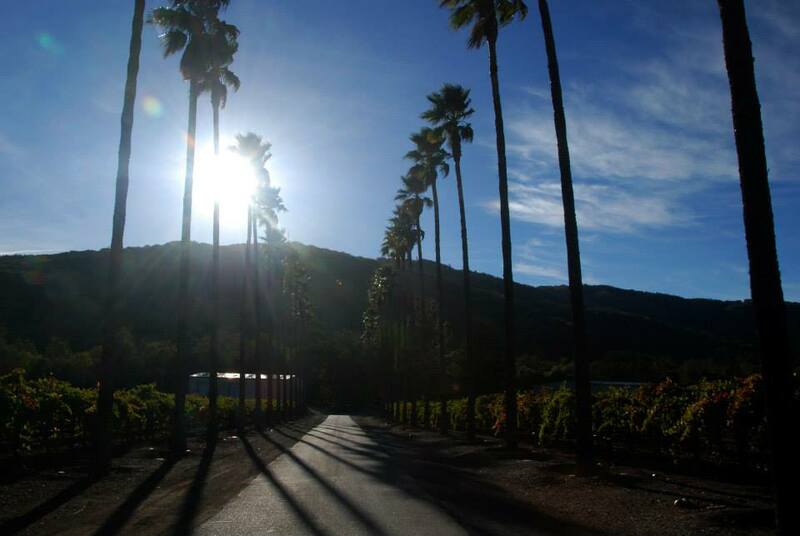 Mountains, Vineyards and Palm Trees; what else could you need? How about some fantastic Silicon Valley Wine. 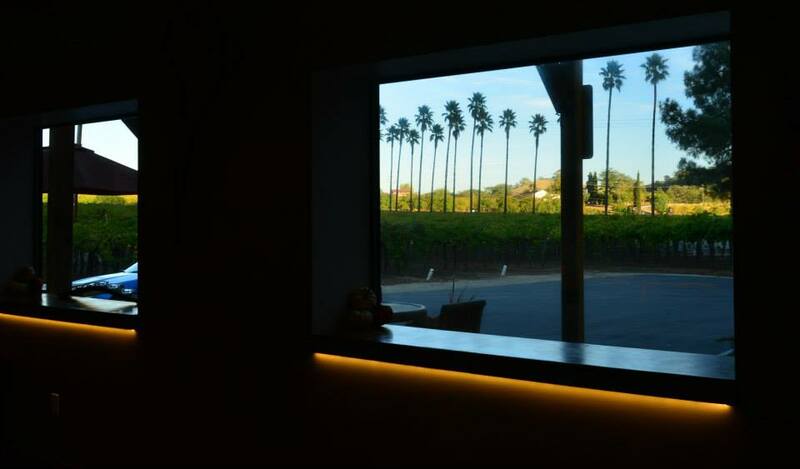 The tasting room is gorgeous. It has a modern look and feel. The wines were excellent. 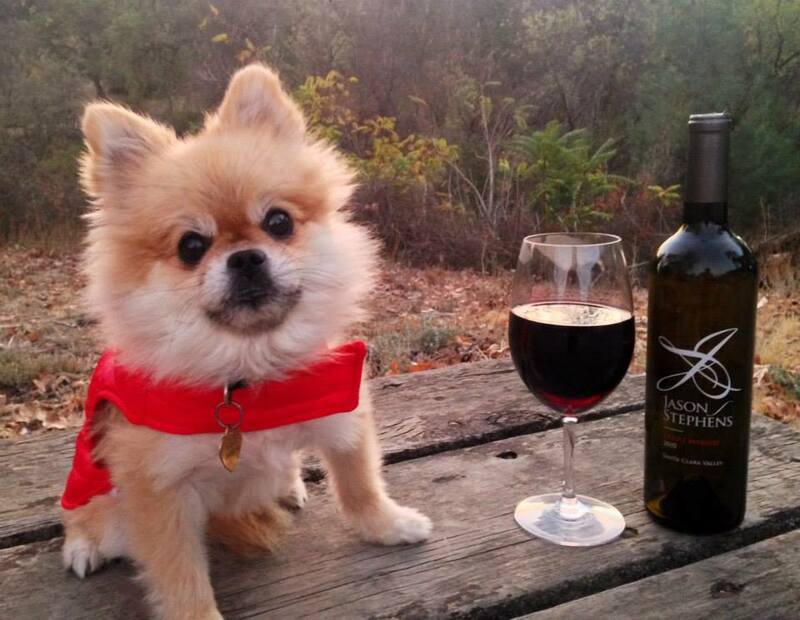 With wine tasting, everyone has their own likes and dislikes. 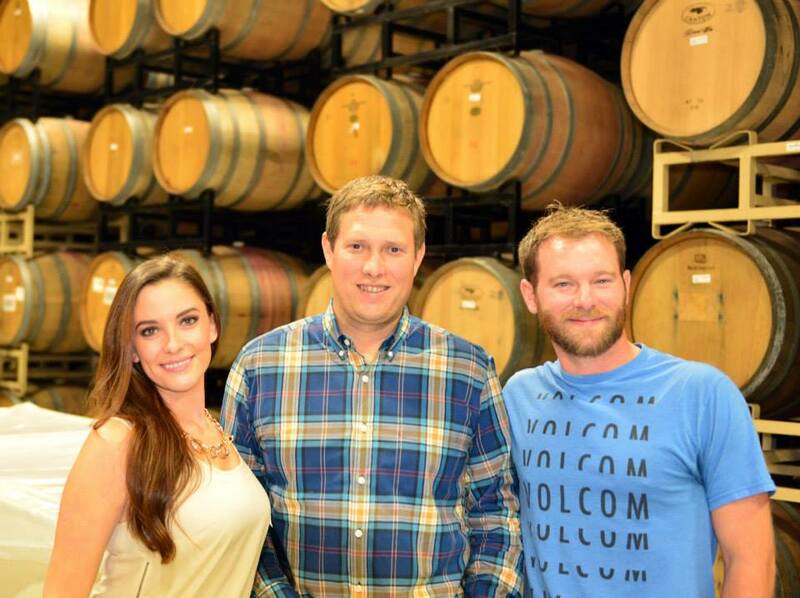 All four of us picked our favorite wine of the day, and all picked Jason-Stephens wines. To make the day ever better, Jason gave us a tour and answered all my questions as I grilled him on how they ran the business. I love hearing from successful entrepreneurs and his story was inspiring. By now it was far past closing time. 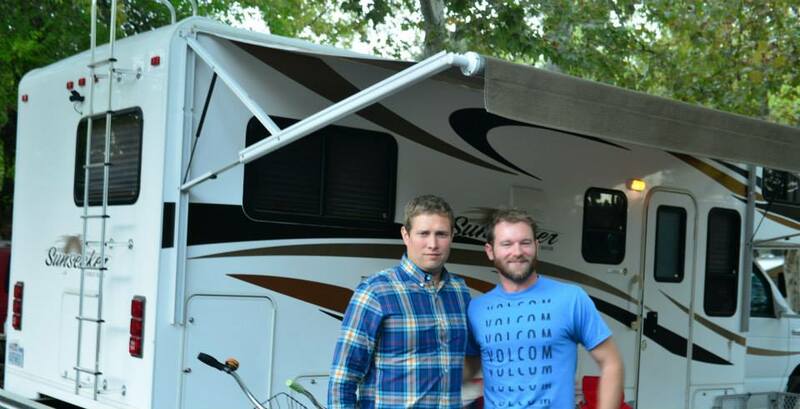 Rather than having to call our cab, Jason offered to give us a ride back to the nearby RV Resort. We felt like the red carpet was rolled out for us. He mentioned he was surprised at how large the RV Resort was. Although I’m sure he won’t be making it a habit of giving RVers rides home, I would encourage EVERYONE who stays at the Thousand Trails Resort to visit Jason-Stephens Winery.